Do you envy a Wrestler's look? Read this. The iconic WWF wrestler, Ultimate Warrior died of a massive heart attack on April 8. He is not alone; there has been a long list of wrestlers who have died, even before they reached 50 years of age. In fact, more than 60 wrestlers between the ages 20 and 40 have died since 1985. 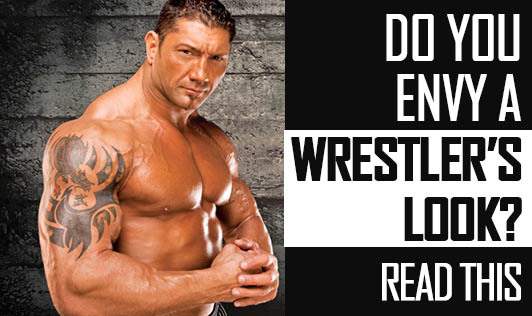 Has it occurred to you why these wrestlers are specifically at risk to heart disease? Well, according to experts, mix of steroids, painkillers and illegal drugs, used to enhance the performance, is the main cause of deaths in wrestlers. Wrestlers' look heavily depends on steroids and other muscle building drugs as they help those to get the much needed huge, buffed up image. But this image comes for a price. The huge, buffed up body has to now pump the blood throughout the huge bodyand increases the pressure on heart. It's also seen that one tends to get addicted to the steroids, which in turn increases the heart size and makes it beat faster and harder and increases their risk to heart failure. Now that you know how steroids can deceive even the strongest of men, be wise enough not to imitate them and risk your life at the cost of muscles.